Imagine ​your Ceremony ​being meaningful ​and memorable - what do you envision? Creating meaningful ceremony experiences is a passion of mine. I started on this path after attending far too many ceremonies that didn’t fit the occasion, or appropriately reflect the individual(s) being honoured. 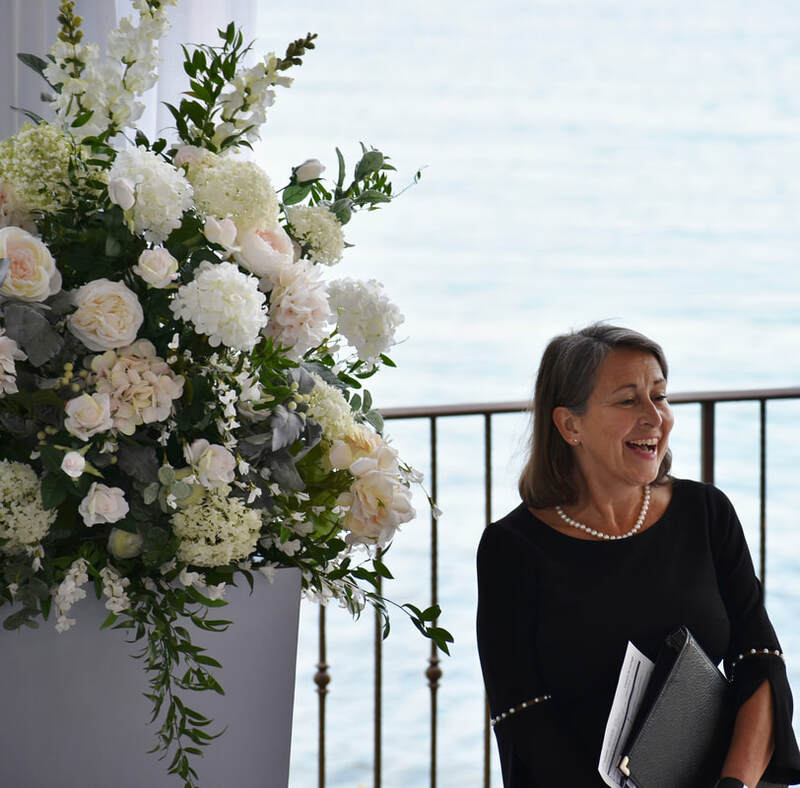 As a certified Master Life-Cycle Celebrant, I create and officiate personalized ceremonies to celebrate new beginnings, honour life’s achievements and pay tribute when experiencing a loss. I collaborate with individuals and families to ensure the ceremony will reflect their values and beliefs. It is amazing to see what emerges in an initial discussion about ceremony design. Once you realize there are very few “have-to” elements for any ceremony, many ideas and possibilities will come to the surface. If you haven’t really given it much thought, I will ask the right questions. Sometimes, the starting point is what you don't want to experience during the ceremony; this can be a valuable beginning. Simple things like how you want to feel and how you want your guests to feel, will help guide the overall design. When we’re done, your ceremony will be just that, your ceremony and it will appropriately set the tone to cascade into any sort of reception. I welcome your call to discuss your interest in a Ceremony or to discuss Celebrancy in general. For all ceremonies, I work with my clients in a similar fashion – see Working Together.